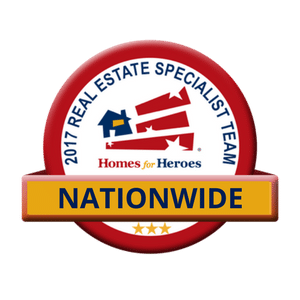 In 2017, together as a team, our caring community of real estate professionals continued to raise the bar on the service and savings Homes for Heroes provides our heroes. However, a select group of affiliates went above and beyond for the heroes in their community. And today we are honored to recognize and thank these extraordinary affiliates for their service with the 2017 Homes for Heroes Affiliate Awards. Our Top Affiliate Awards are presented to the top performing affiliates nationwide. They are calculated based on the number of hero closings in 2017. 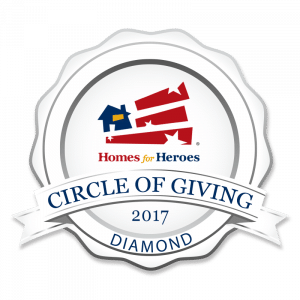 Collectively as a Homes for Heroes team, we served over 5,700 heroes nationwide and gave back over $9.5 million in 2017. 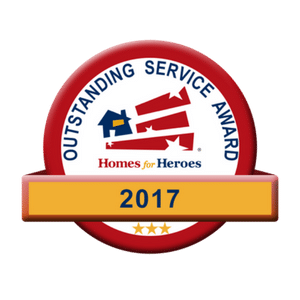 The Outstanding Service Award is given to 3 affiliates each year that truly embody the Homes for Heroes’ mission and core values. These affiliates consistently go above and beyond to serve the heroes in their communities well beyond the real estate transaction. While they exemplify all 6 of our core values, there is one they do exceedingly well that sticks out the most. 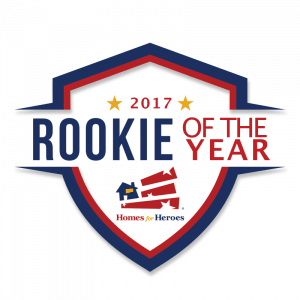 Our Rookie of the Year award honors two affiliates that have knocked it out of the park in their first year with Homes for Heroes. 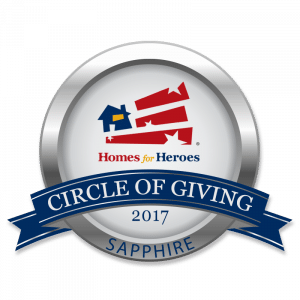 They have embraced all 6 of our Homes for Heroes core values and have shown they are fully committed to this caring community dedicated to serving those that serve others. 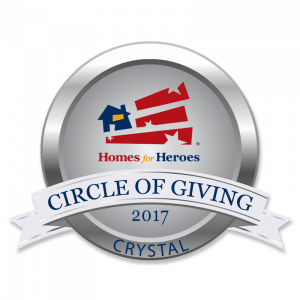 Our Circle of Giving awards are earned by affiliates that have set the bar extremely high and have surpassed a certain milestone in number of heroes closed within the calendar year. The Circle of Giving tiers include Crystal (25 hero closings), Ruby (50 hero closings), Sapphire (75 hero closings) and Diamond (100 hero closings). Thank you all for your service and commitment to our nation’s heroes, and congratulations on your achievements! For more information on how to become a Homes for Heroes affiliate real estate agent or lender, please click here to learn more about our program. If you’re a hero looking to work with one of our outstanding affiliates to buy, sell or refinance a home AND receive significant savings, please visit HomesForHeroes.com and complete the two-step sign up process and our affiliate real estate or lending specialist in your area will contact you.